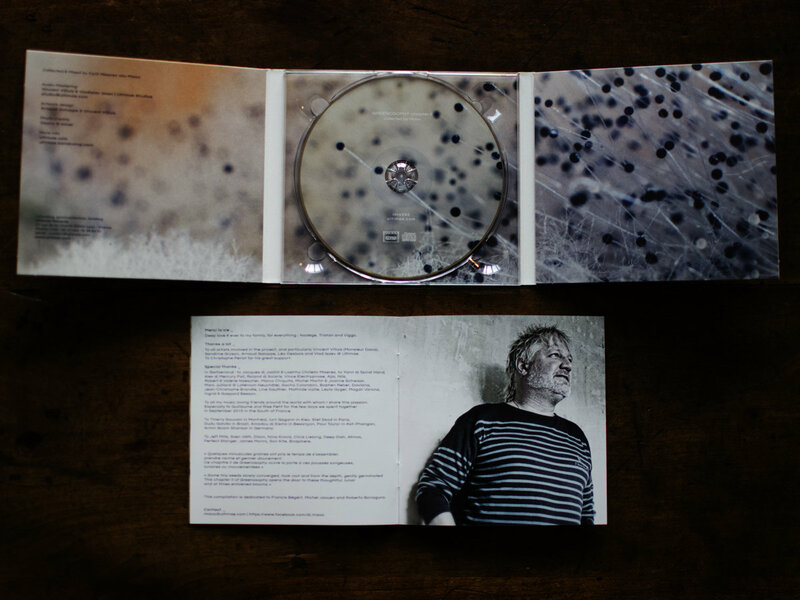 TGP 012 is Claudio PRC’s third long player. 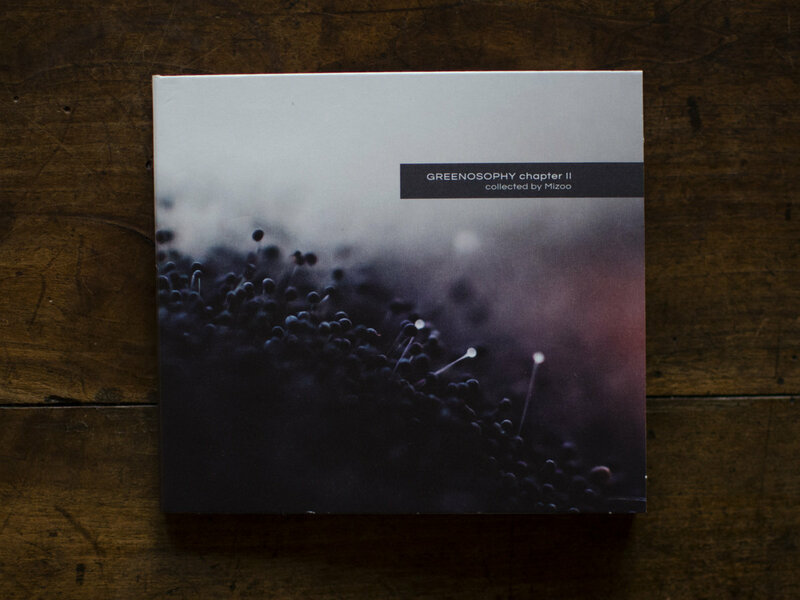 A deep techno journey composed by 7 tracks out on 2X12”, CDR and digital, mastered by Marcus Henriksson at Studio Cosmos. 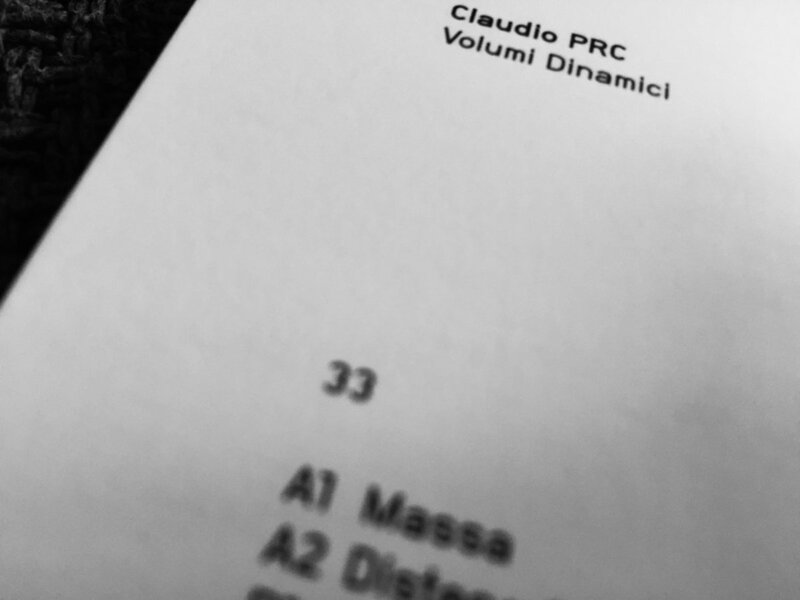 012 is a new step into Claudio PRC’s sound journey, an immersive tale that follows his previous LP’s, Inner State and Volumi Dinamici, in which the sound research and the compositional form are distinctive elements of the production. With its characteristic tension and minimal approach it oscillates through deep, pulsating and atmospheric techno, rising slowly in the surface, to warmer and brighter places, like flowing water. Limited 2X12” white vinyl, 2X12” black vinyl, limited 50 CDR with handmade leather sleeve made by Sardinian brand ap.ooo + The Gods Planet sticker inside, digital. W&P by Claudio Porceddu, 2017. “The Water (Vox Version)” contains a Bruce Lee speech. Mastered by Marcus Henriksson at Studio Cosmos. Worldwide distributed by Vinyl Future. With “Movement of Thought” the french duo Kas:st gives us a new look on what techno should feel like. With incredible sound waves and deep melodic vibrations this release truly is an emotional journey from beginning to end. Through its techno sounds the EP shows that music is the result of the movement of thoughts. Claudio PRC, one of the best techno producers around, offers his own interpretation of the B-Side track “Hidden Memory”. “Hidden Memory (Claudio PRC Remix)” W&P by Claudio Porceddu, mastered at Artefacts Mastering. 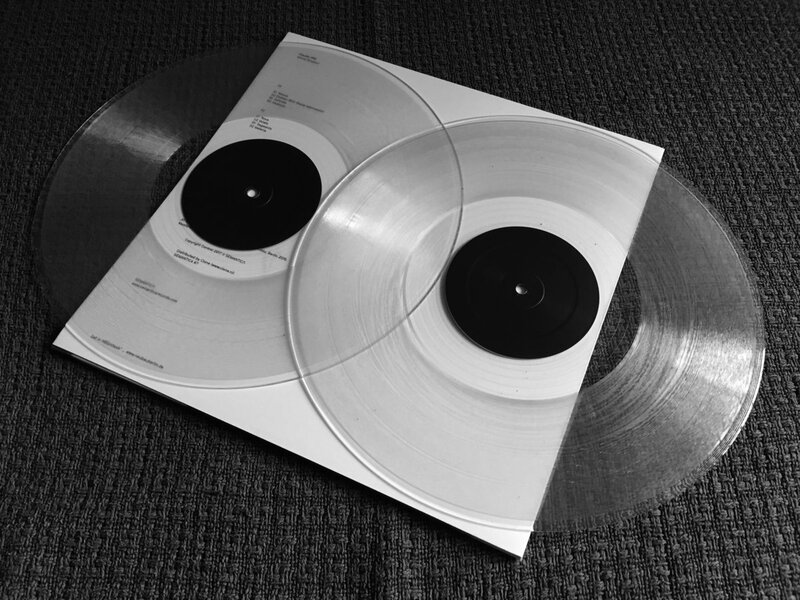 Following the release of Alex Tomb’s recent album, Probabilities & Unorganised Harmonics, the only thing that made perfect sense was that we put together a great remix release on wax. In fact we are delighted to have 3 new brilliant artists make their mark in the Several Reasons legacy. Claudio PRC, Patrick Siech, Amandra and Mynude join forces to deliver a solid release taking inspiration from one of the most beautiful albums we’ve had the pleasure to release. 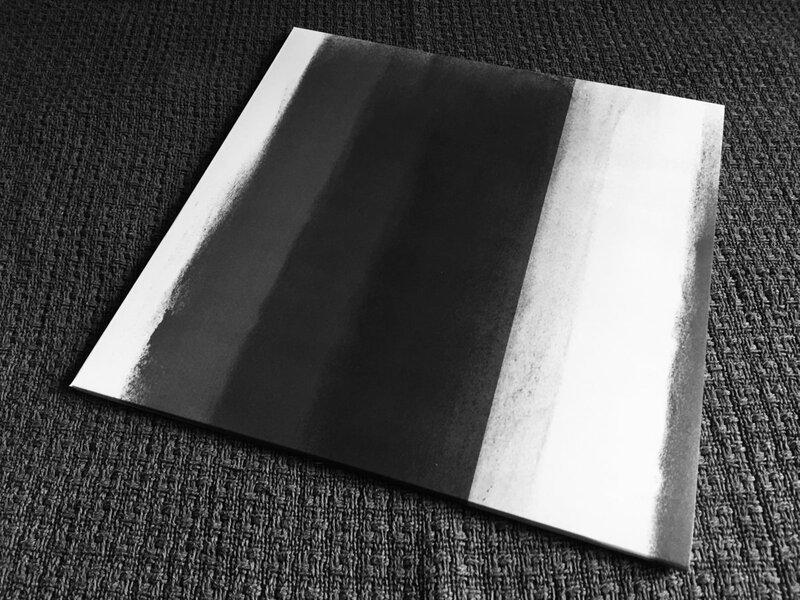 A 12″ inch that see’s Patrick Siech and Mynude sharing the A side. Patrick doesn’t fail to impress delivering an absolute sub-destroyer with some intense melodic runs that gets the record started with some good energy. Mynude delivers yet another classic by bringing together sharp analog synths sounds and deep percussions alongside mysterious atmospheres which Alex Tomb brings to the table with his first track of his album. On the B side we have Amandra opening with a beautiful and smooth interpretation or he wants to label it “roses” remix. A track full of groove and and obscure percussions that plays delicately on the line of techno and electronica. Closing of the record Claudio PRC delivers a trip of pure auditory sensation. Truly the track feels “swimming” in bass and creates the perfect situation where the gods of melodic and hypnotic techno meet. 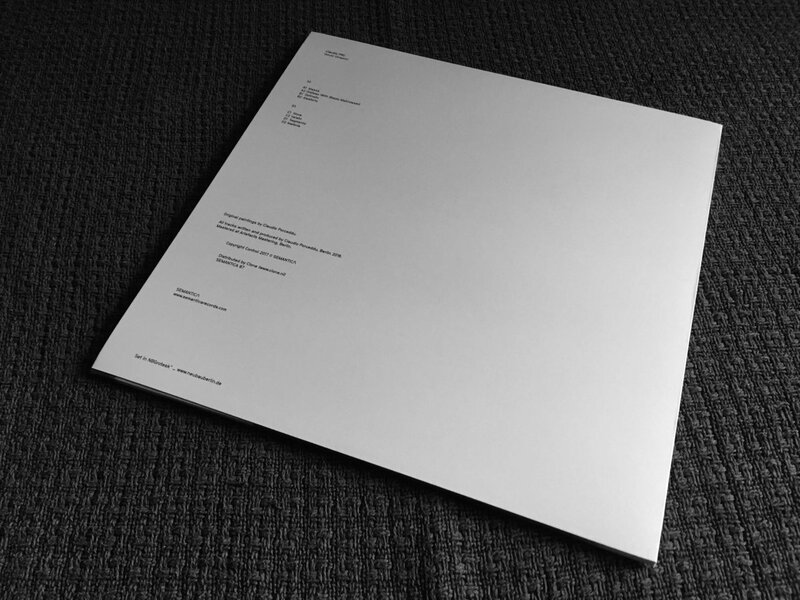 The vinyl comes in a sleek white full cover with a delicate & detailed design by none other than Dephreq. Pressed on a stunning full white wax and full colour labels, this release is guaranteed to deliver whether its sitting in your collection or playing on your deck. “Claudio PRC – Probability #6” W&P by Claudio PRC, mastered at Artefacts Mastering, cover design by Dephreq. The 9th release of Lanthan.audio will present you the sound of the Los Angeles based duo Motionen. The audio/visual project created by Carlos Matamoros (a.k.a Altrd Being) and Matt Salamone presents its solid reputations on dancefloors throughout the City of Angels with growing response and more shows to follow at the whole us ground and over it boundaries. Furthermore they founded their own label Ascetic Limited last year with a very promising path already. Also we are glad to welcome back Claudio PRC for a interpretation of Motionens “Erudito”. Claudio is part of since the very first release and so a inherent part for Lanthan.audio. The other version for the track “Balance Theory” comes by Christian Gerlach. 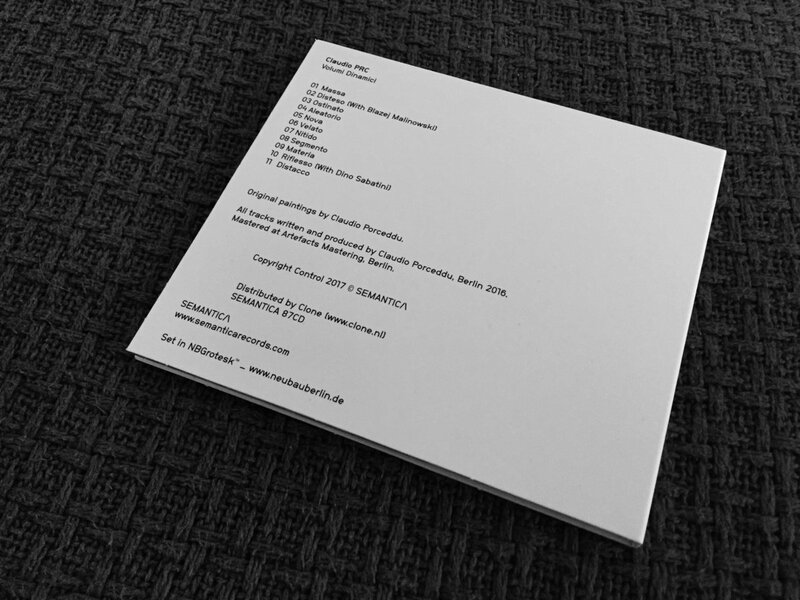 “Motionen – Erudito (Claudio PRC Version)” W&P by Claudio PRC, mastered by Marcus Henriksson at Studio Cosmos, cover, photography and press by Christian Gerlach. 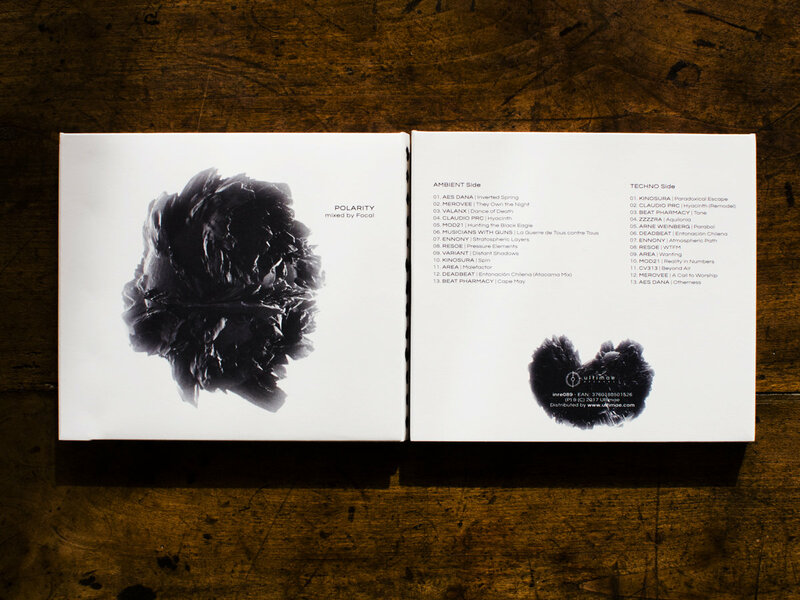 From the passionate lands of France, Arnaud Galoppe, known as Focal and Kinosura, has hand-mixed an emotional labyrinth of dark techno and melancholy ambience in Ultimae’s latest compilation. 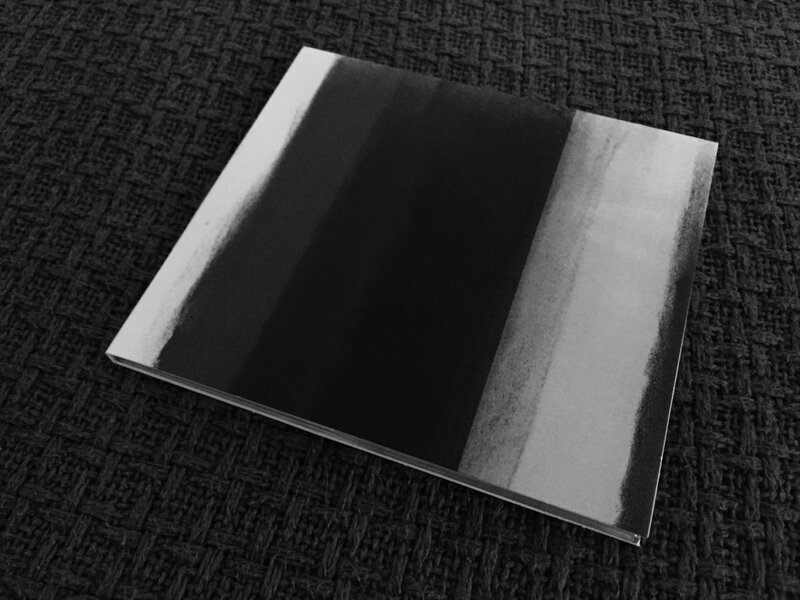 Polarity is a double-sided conglomerate of electronic expressions from all over the world, spanning across atmospheric soundworlds of intimate drone and deep, industrial progressions. This collection of heartwarming soundscapes and foot-stomping house beats is smoother than butter, a series of 26 top-notch tracks that paint an interesting, auditory adventure. Although the album has a minimalistic approach, it offers a surprisingly detailed production. Each track is layered with expert craftsmanship and hypnotic melodies laced against diverse, psychedelic noise echoing in the distance. 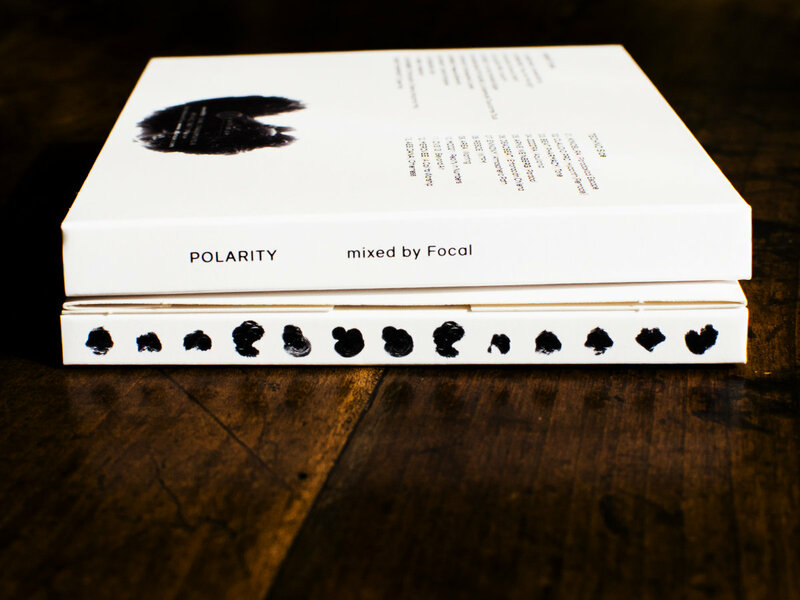 Polarity is certainly an experience worth traversing, and we are proud to host it as an excellent addition to any electronica connoisseur’s sound-library. 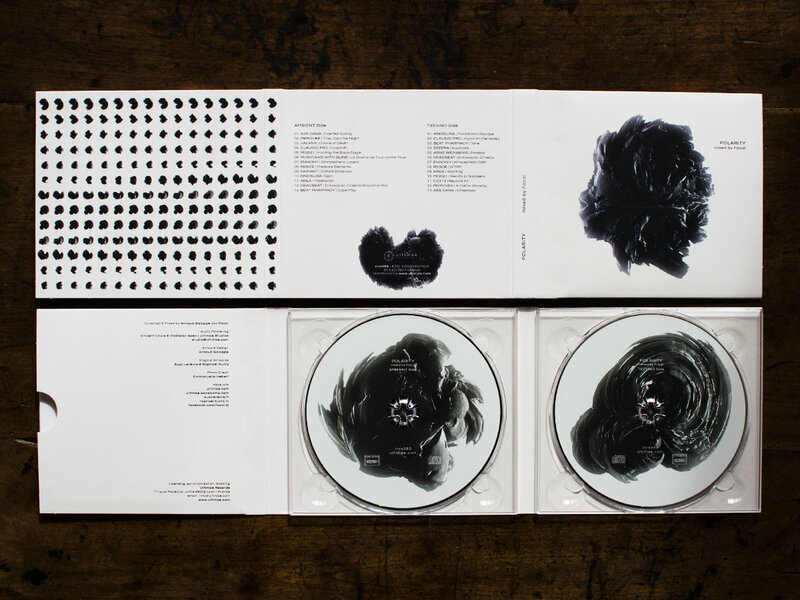 The Polarity artwork was imagined by plasticians Suzy Lelièvre and Raphaël Kuntz. From a sphere, they conceived a parametric deformation protocol for a decomposition in several stages. While Suzy imagines shapes and the potential modifications to impact, Raphaël works on the incarnation process to extract a mineral matter look, something geological, almost chemical. As they materialise, with slow lighting work, shapes undergo random offsets, revealing the tension between a near scientific protocol and its subjective interpretation. Beyond the infinite production of singular shapes, the goal of both artists, especially for this project, is to invent new processes that invite a reconsideration of our attitude to shapes. In the same way, from Ambient to Techno, through a game of modulation of pads, rhythms and frequencies, Polarity offers a variety of musical spectra flowing into one another, a melodic exploration of the twists and turns which link both universes. 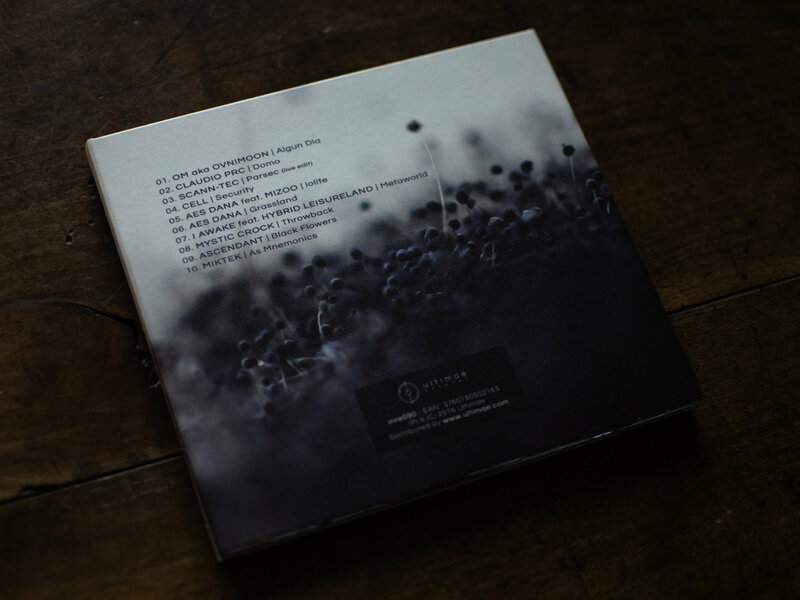 Mastered by Vincent Villuis and Vladislav Isaev at Ultimae Studios. Original artwork by Suzy Lelièvre and Raphaël Kuntz. Artwork design by Arnaud Galoppe. Text credits: Emmanuelle Hebert and Nick Sumbles. “Hyacinth” and “Hyacinth (Remodel)” W&P by Claudio Porceddu in his nomad studio. It may not always be obvious, but music as escapism can serve as a radical social statement. What some may see as a daydreaming or imagination of impossible realities, can constitute a sort of revolution of thought, the seed of a more humane and sensible worldview. 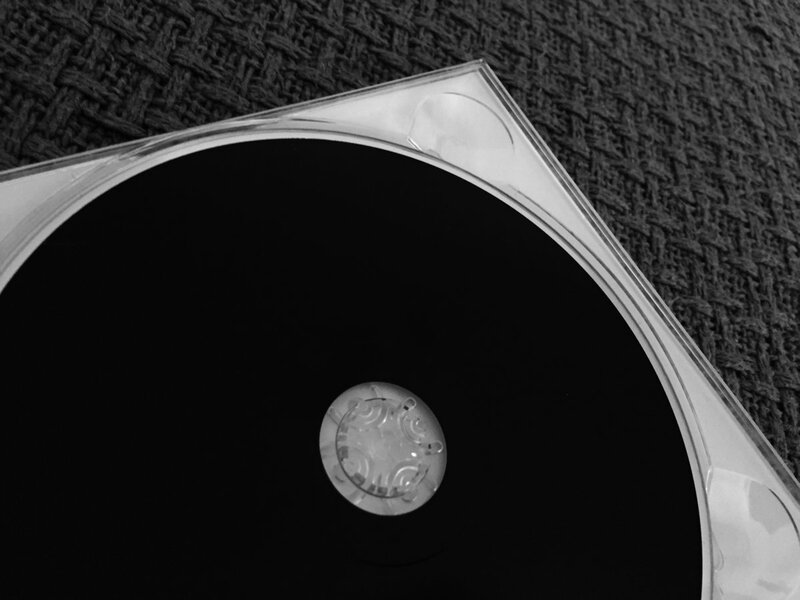 Although on a first-rate, high-level basis, it may seem like if the music contained in Informa’s 10th release is a series of psychedelic, dystopian and otherworldly tools for escape, it might be a proposition for improvement, a route to Self-discovery, a reflection on the true nature of our environment. Although at no point in this release such high concepts are explicitly made, there is a consistency in the vision and methods present in the art created by the peers that the label founder and owner Deepbass has selected for this very special, celebratory release. Encapsulating the product of eight minds, eight visions, in a common concept for evolution in unity. The 8 tracks that make up this double EP create, by sheer power and purpose, a collision of 8 wormholes in different worlds and times, into which the listener is immersed and propelled, and from which he can gather new perspectives, renewed thought, clearness Of mind. The spinning melodies and traveling colors of Claudio PRC, the deep driving ancient ceremonial music engendered by Alfredo Mazzilli, the electroshock waves of Hironori Takahashi’s submerged sounds or the dramatic, ghostly suggestion of fear and paranoia weaved by nAX_Acid. No imagination of what happens in the eye of every storm, earthly or otherwise. 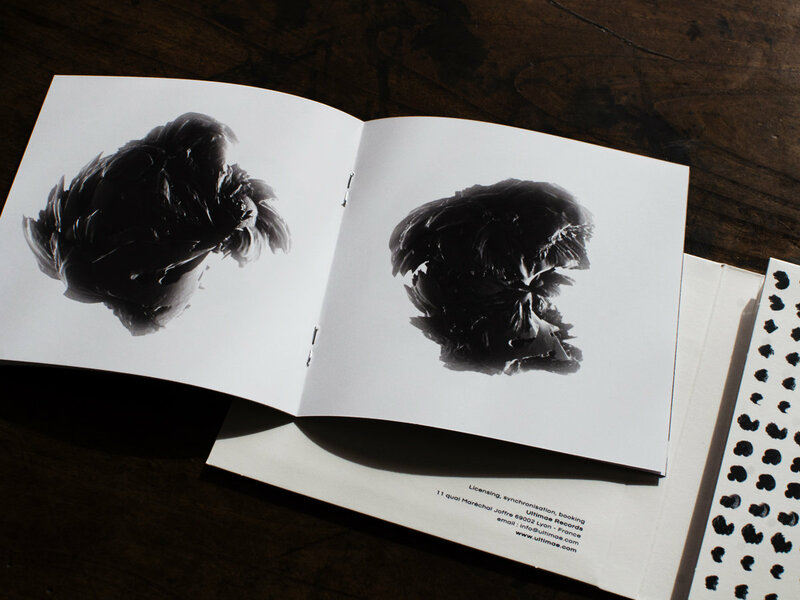 The circular stimulation and mounting tension is evident on Takaaki Itoh’s contribution, the cave-dwelling echoes of Reggy Van Oers’s lightning strikes. And the entrancing menace and feeling of hope are subjugated to Deepbass’s own proposal. All of them can be seen as eight tunneling paths into the lost hours of the longest nights on the dancefloor, or a single unifying quest to take back control of a progressively harsher and alienating reality that engulfs us. “The Place Where We Were Born” W&P by Claudio Porceddu. Mastered at Artefacts Mastering. Swiss deejay Cyril Miserez_dj mizoo takes you on a vibrant journey through vast downtempo ambient soundscapes with solid incursions in the deep trance and techno fields. Featuring engaging tracks from the deejay himself, Ultimae’s AES Dana, Scann-Tec, I Awake feat. Hybrid Leisureland, Cell, Miktek and new comers to the label’s realms such as Mystic Crok, Om aka Ovnimoon, Ascendant and Claudio PRC. 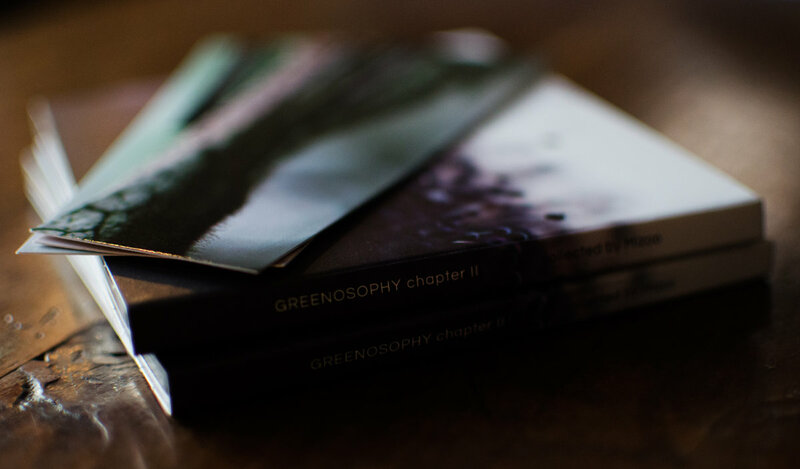 Mizoo’s Greenosophy Second Chapter is a warm and lush record combining music by some of the finest composers, it’s a smooth outward extension from the original Greenosophy. Cyril Miserez dedicates this story to Francis Bégert, Michel Jaouen and Roberto Bonagura. Collected by Mizoo. 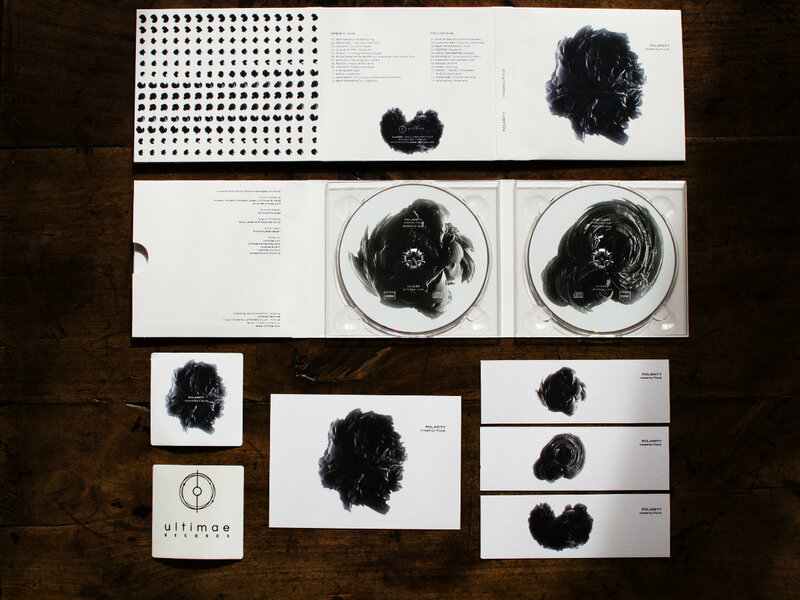 Mastered by Vincent Villuis & Vladislav Isaev | Ultimae Studios. Artwork by Arnaud Galoppe and Vincent Villuis. “Domo” W&P by Claudio Porceddu in his nomad studio. Volumi Dinamici is the second long player of Claudio PRC, a project that combines music and art inspired by the Futurist concepts of movement and dynamism and artistic currents such as Abstract Expressionism; the name itself is a tribute to a work of Italian artist and pioneer Luigi Russolo. 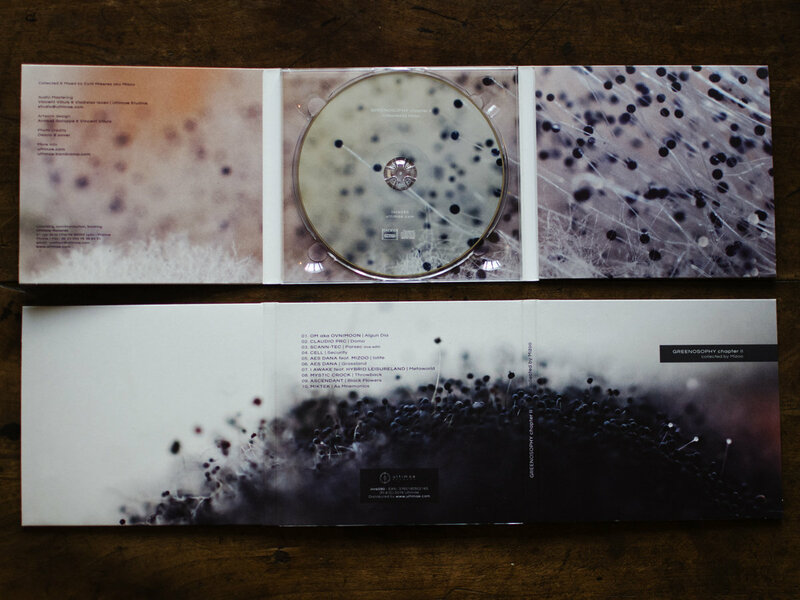 Volumi Dinamici is a collection of 11 tracks accompanied by the same number of illustrations, different from each other but characterized by a common technical and compositional approach. The several shades of the atmospheres and the linear rhythm of the grooves come together to form a dense and mental musical dimension, a journey into the sounds and their intrinsic symbolic value. 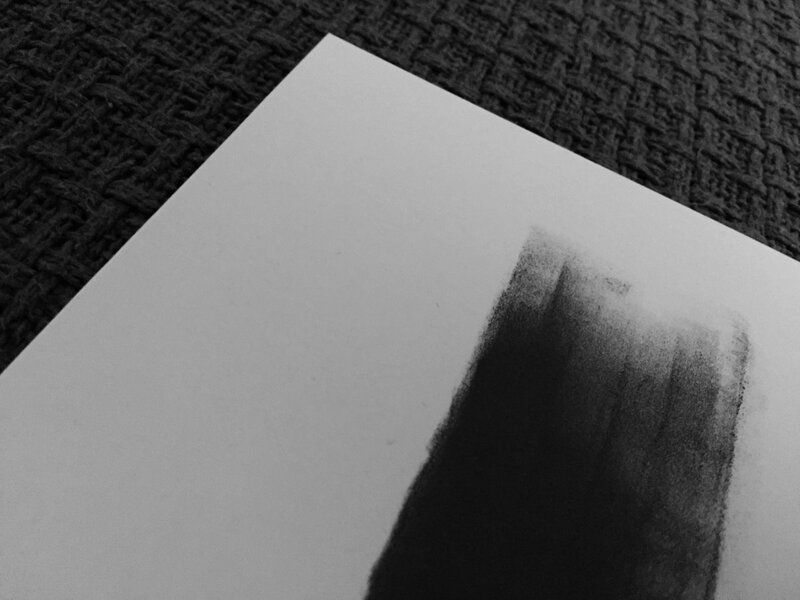 Depth, lights, shadows and noises are tangible elements of this work that mark the beginning of a new sound research based mainly on the instinctive use of machines and analogue instruments. All tracks written and produced by Claudio Porceddu, “Disteso” with Blazej Malinowski, “Riflesso” with Dino Sabatini, Berlin 2016. Mastered at Artefacts Mastering, Berlin. Original paintings by Claudio Porceddu, oil on paper. Released by Semantica Records, 2017. Claudio PRC and UNC are back on TGP alongside newcomer Blazej Malinowski. Two deep and spacey techno journeys out on 12” and digital, December 2016. W&P by Claudio Porceddu & Pier Alfeo, Blazej Malinowski, mastered by Artefact Mastering, original picture by Aerphis “Uncharted Space”.